Someone starts singing a few bars of “Let It Go” in the background and it will definitely be hard to shake the viral movie soundtrack from Disney’s Frozen off your system. With a great following, a very infectious melody and lyrics, it is quite obvious why it won this year’s Academy Award for Best Original song. However to some, it leaves more than just a melody and a few rhymes. Penned by the couple Kristen Anderson-Lopez and Robert Lopez, this song leaves a permanent mark especially on those who know they have so much to prove to the rest of the world. Aptly sung by iconic lady performers, Broadway superstar Idina Menzel and Disney star Demi Lovato, the song sends out a strong message of new found courage to everyone, especially aspiring talents. The song has become such a massive hit not only to those who could easily relate to the song, but also to the general public, from little children to adults. In fact, it has topped several music charts including Billboard Hot 100, where it landed on the top 5 spot. Disney has not reached such peaks since “Colors of the Wind”, which was featured on the soundtrack of the movie Pocahontas in 1995. 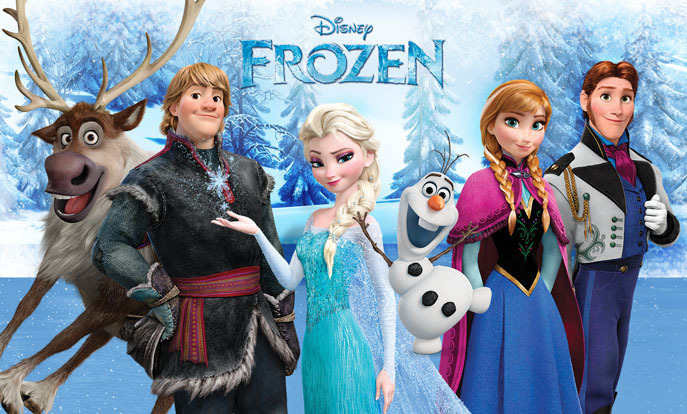 Frozen follows the story of two sisters, Elsa and Anna, who have drifted apart because of an extraordinary gift that Elsa had to conceal to protect her sister. After unintentionally revealing her power to the people, Elsa fled the kingdom and headed up the mountains where she eventually realized she should no longer try to hide who she was and what she was capable of. 1. Do not be scared to show your true self. Most people could not move forward because they are scared of showing people who they really are. Some end up wasting too many chances because they were too scared of disappointing other people. Letting go of all reservations and inhibitions makes the actor more open to exploring emotions and opportunities that will lead them to greater lengths. 2. Let go of your fears; they will only limit you. Before heading into the mountains, Elsa hid behind the walls of her room with the fear that she might hurt her sister Anna. She ended up hurting her anyway, yet Anna’s love her for sister never faded. Oftentimes, fears end up to be nothing more than unnecessary and perceived limitations that people impose on themselves. A person could lose a great opportunity and end up with nothing in the end only because they let their fears take hold of them. 3. Be strong; you only have yourself to depend on. It means that Queen Elsa was willing to face all the obstacles and stand firm with her decision. This scenario is similar to when an actor first decides that they love acting. The road down a successful acting career is definitely bumpy and unless they could stand by their choices, they could not stay too long in the business. Some things in life are not worth going back to, especially if these are mistakes in the past. There is always a reason why things never worked out and all a person needs is to learn from it and then move on. Instead of reliving what has happened in the past, they should move forward; bringing along with them the lessons they have learned. 5. The most important part of a fall is getting back up on one’s feet. Putting things in the past also means moving on, but the only way someone can effectively move on is to get back on their feet. Every failed attempt, a rejection or bad review should be countered by effective ways of building up oneself to be fit for another opportunity. This is the only way they could prove to themselves and everyone else that they are resilient and are ready for more opportunities. The movie Frozen and “Let It Go” definitely deserve the attention that it is getting, mostly because of the life lessons that we get from them. In reality, there is an Elsa in every one of us, we only have to accept it and take the risk of revealing our true self to others. If you will allow yourself to learn from “Let It Go”, you can change for the better and reach whatever it is that you dream to reach, especially in your acting career. A Mass Communication graduate from Indiana University, I have been writing for corporate entities until I ventured into entertainment. Now, I am a freelance writer for Explore Talent, focused on television news and other updates.